It’s highly rare for these systems to malfunction accidentally, and most are simply due to a mechanical error or faulty sprinkler parts. As a business owner in Greeneville, TN it might be surprising to have to deal with your fire sprinklers going off in your property without a clear sign of a fire. After all, it’s highly rare for these systems to malfunction accidentally, and most are simply due to a mechanical error or faulty sprinkler parts. However, in the event that it does occur, it’s important to know where to start in terms of handling flooding and water damage in your commercial building. Here are three tips on how to begin the restoration process after you experience an unexpected sprinkler disaster. 1. Be sure to turn off the main water valve and power supply. It’s important to shut off the main water supply to the entire building simply to minimize damage, while turning off the main power source can guard against any electrical shocks or currents running through the flooding water that’s already accumulated. 2. Contact qualified water restoration specialists to begin the cleanup process. Depending on the extent of the water damage, it’s crucial to call in an experienced team of professionals who can adequately remove water buildup and properly clean the affected areas. Any damage left untreated could potentially lead to more hazards down the road, such as mold growth or unstable building materials. 3. Gather evidence of the mishap and call your insurance company. In order to create a solid case for your insurance company, it’s vital to gather things like faulty sprinkler parts and photographic evidence of the scene. This ensures that your agent has everything they need to secure a substantial claim to help you recover your building after flooding. 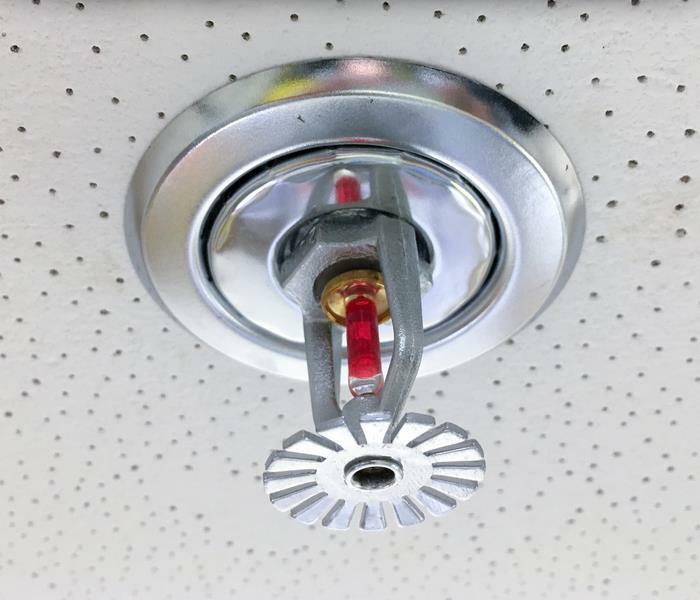 Though it’s uncommon for fire sprinklers to be set off accidentally, there are a variety of ways the situation can be handled calmly and effectively. Thankfully, with these three tips in mind, any business owner in Greeneville, TN can be prepared for the worst. How Fast Can Mold Grow After Water Damage? If you find water damage, mold could be present as soon as a day later. Even if you’ve never encountered it at home or in your Greeneville, TN office, you know that mold isn’t something you should ignore or take lightly. The cleanup costs alone from mold can be expensive. This issue can even interrupt your business operations. 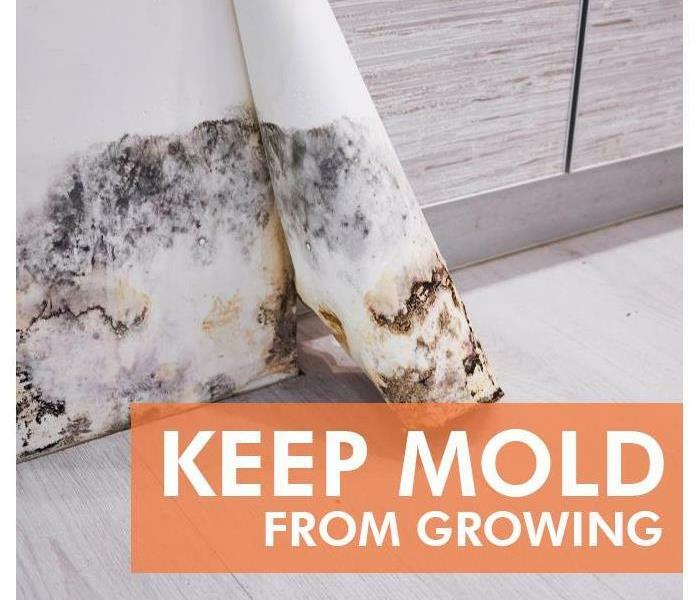 If you’ve experienced water damage in the office due to flooding or other problems, mold can make its appearance quickly. You may wonder how mold finds its way into your workplace. 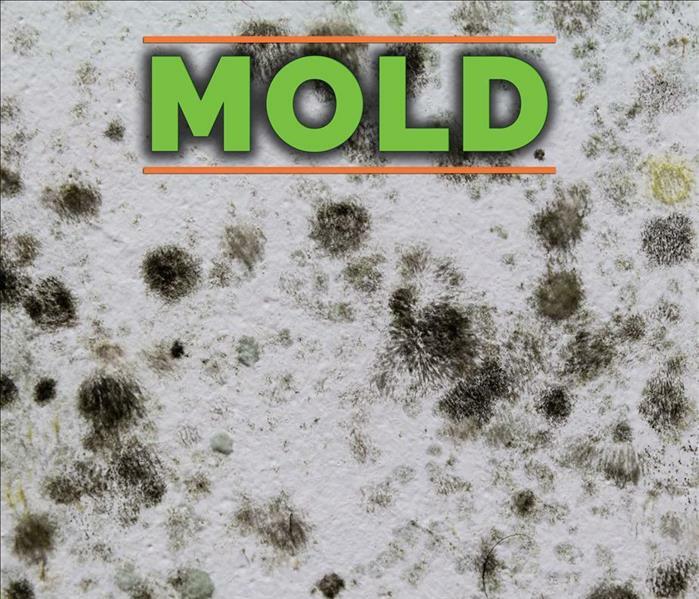 Even if you don’t live in a humid climate, mold growth can show up. As you identify frequent conditions in which fungal development occurs, you can be more aware of mold prevention and cleanup efforts. It may surprise you to learn that mold can rear its ugly head in a hurry. In fact, if you have water damage at work following a large storm, sewer backup or other incidents, fungal growth can appear within 48 hours, sometimes even as fast as 24 hours. This is important to know because it should accelerate your response. Mold will thrive in wet, humid conditions, so if you don’t act in a timely manner, the substance will continue to spread and grow. Once you discover this concern, don’t delay. You should take pictures of the affected area; however, be careful not to come into direct contact with the mold, especially if it’s black mold. Next, call a team of mold remediation experts to inspect your office and get rid of the fungal growth. A professional company will have the experience, knowledge and equipment to quickly dispose of the mold in an appropriate fashion. If you find water damage at work, mold could be present as soon as a day later. Call the professionals as soon as you’re aware of this situation. What Can Your Business Expect From a Disaster Recovery Franchise Upon Its Arrival? 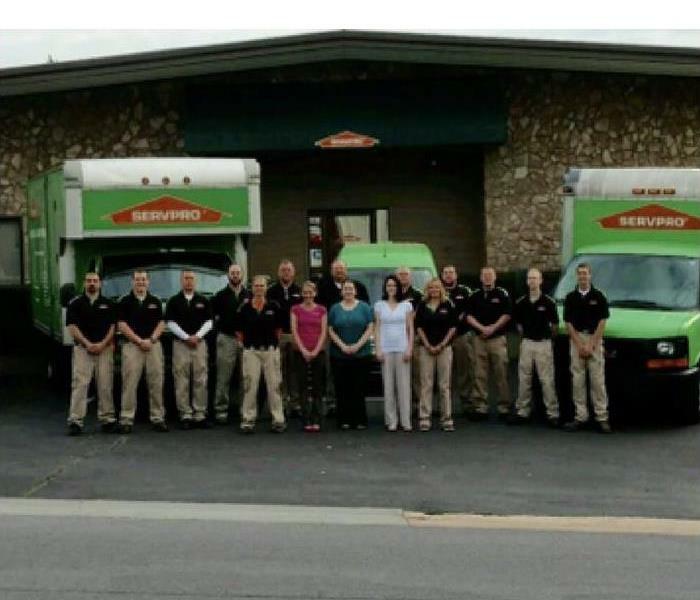 SERVPRO of Greene County team is ready to help whenever you need us. Owning a Greeneville, TN business comes with many responsibilities, but one of the most important can be having a disaster plan in place. From training your employees on evacuation proceedings to preparing for storm damage ahead of time, having a viable plan in place can prevent panic and disarray in the face of strong storms. If you have a disaster recovery franchise on call for your business, knowing what to expect when its technicians arrive can help you streamline your emergency protocol. Mitigation can be especially helpful in keeping smaller floods from spreading, particularly in the case of black water. Sometimes, large disasters require more than what your local franchise can handle. In this case, you can likely expect support from other franchises in the area, especially if extra trucks and equipment are needed. You will probably be informed by your disaster recovery team if such support is needed and how it might affect your evacuation or closure plans. Once the building is evacuated, your storm damage and restoration service will probably inspect the affected areas and note which items can be restored, what kind of building materials need replacing and the options you have for the restoration process. This is a good time to ask your techs questions regarding cost and time frames for planned repairs. Having a disaster recovery plan in place for your Greeneville, TN business can help you prepare for the unknown. Knowing what to expect from your local disaster response team when they arrive may help you streamline this plan and give you peace of mind in the event of an emergency. Check your bathrooms regularly for signs of supply line damage. One of the most important parts of home ownership in Horse Creek, TN is regular plumbing maintenance. What a nightmare to wake up one morning, come home from work or return from a vacation to a flooded house! One common cause of water leaks in the home is supply line damage, which can be easily prevented with a little foresight. 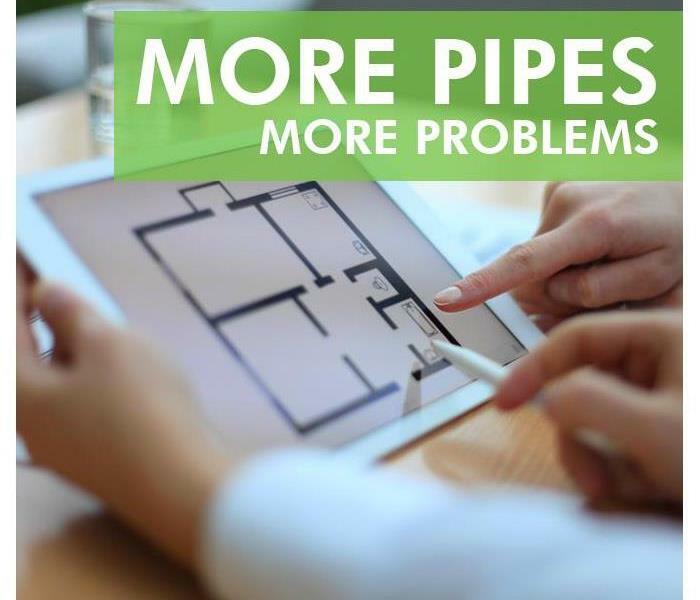 Conveniently, it’s not too difficult to change a supply line on your own, but if you would like the reassurance of a job done right, schedule an appointment with a professional restoration specialist. When Should I Change a Supply Line? Supply lines need to be changed because they can be damaged. Whether the line is plastic or stainless-steel braided, supply line damage is caused by wear and tear as well as interaction with chlorine, which corrodes stainless steel. A line should also be changed every time a new faucet or toilet is introduced to the bathroom because the old rubber seals can lose their watertight qualities over time. Replacing the supply line can prevent a costly bathroom leak. How Do I Change a Supply Line? Using two pairs of pliers, tighten the nut on each end of the supply line with one pair while holding the other pair against the shut-off valve. Maintain consistent torque to ensure stability. Make sure that the supply line can be easily accessed for future maintenance or in case you experience a supply line leak. Cross the task off your to-do list! Check your bathrooms regularly for signs of supply line damage. Enjoy your safe and dry home. How Do I Keep Mold From Growing in my Bathroom? Perhaps unsurprisingly, the bathroom is one of the most common places where homeowners first spot mold. Warm, wet and often dark, bathrooms can provide the perfect incubator for mold spores to thrive. In fact, it’s so common you may have just learned to live with it - but you don’t have to. Bathroom mildew and mold in your Romeo, TN home can be prevented if you stick to a few easy steps. All can become darkened by slimy or fuzzy mold, making your bathroom an uninviting place. The key to eliminating bathroom mold is not simply cleaning it, it’s changing the bathroom environment. Start by investing in a squeegee to wipe down glass doors and tiles after each shower. This can remove excess moisture mold loves. Invest in a good bathroom fan and run it for at least 30 minutes after every shower. This cuts down on extra moisture in the air and reduces the humidity problem that leads to mold growth. Invest in a grout sealer. This product works best on grout that’s new or newly cleaned. Apply it with a small brush to your tile grout once a year to cut down on water absorption and dry out one of mold’s favorite hiding places. The bad news is that while bathroom mold is preventable, once it’s established, you may need professional help. If you are losing the battle against bathroom mildew and mold, talk to a mold cleanup specialist about our options sooner rather than later. Is There Mold in Your Greene County Home? Suspecting Microbial Growth Within Your Property's Premises? An environmental hygienist will be able to provide you with an array of services that you can rely on in the case of suspecting microbial growth within your property's premises. Oftentimes, microbial growth can be difficult to detect. Some signs to look for are abnormal odors and a sudden influx of pests. Although you can use some over-the-counter disinfectant sprays to eliminate them, it is important to note that it is often recommended to acquire serves that are provided by an environmental hygienist as they utilize some of the most proven sanitary products in which they will apply in methods in which they are trained, specialized, and certified in. Black mold is something that is more evident as one can see it in front of them with their very own eyes. A growth of black mold is a sign of there being some seriousness to bacterial growth in the home. A mold remediation service is often recommended for homeowners who notice the slightest sign of fungus. Therefore, it is highly recommended to contact a mold remediation specialist in Greenville, TN. Nobody wants to have mold showing up in their home, especially when they go to great lengths to maintain it. Mildew can affect one's health tremendously, thus, one should take extra steps to eliminate any and all existences of it. If you are in Greeneville, TN and would like to attain the services that are available for you in TN, then please call a fungus removal expert today as they will be more than happy to assist you in your aspirations of achieving a more optimally functioning and safer home for you to live in. Although there are many options as far as homes mildew removal companies go, one should choose a company from Greene County that has been rated and reviewed well by customers who have utilized their services in the past. By contacting a specialist of Greeneville, you will find that there are a vast array of opportunities available for you to improve the conditions of your home. The certified, skilled, and experienced specialists are standing by to take your call so that they can set up an appointment to arrive at your home during a time that will work best for you. Many people maintain a negligent attitude when it comes to keeping their homes well maintained. Why live in such a way when they hold such significant values? A home's value can rise with the market, however, if you are not taking the initiative of keeping it maintained, then you will not be able to reap the benefits of selling the property in a market that is considered a good time to sell. After surviving a flood in Greeneville, TN you make be left with a significant amount of standing water in your building. Whether you are left with two inches or two feet of water, your first priority is draining it to reduce the amount of water damage to the building. To remove several feet of water from your property, you need the right equipment. A sump pump or a trash pump could help you drain the water quickly and efficiently so that you can begin the restoration process. Most professional restoration companies have what you need. Using a sump pump may be most beneficial for people who have basements. This type of flood equipment removes water and promotes quick drying in low areas of the commercial building. Offices in an area with a high risk of floods may choose to install the pump before a flood so that the water is removed as it fills the building. This is helpful because you are not left to clean the waste after the water has been removed. The trash is disposed of and the cleanup can continue without a problem. Truck mounted equipment can be useful because the pumps can move more water. 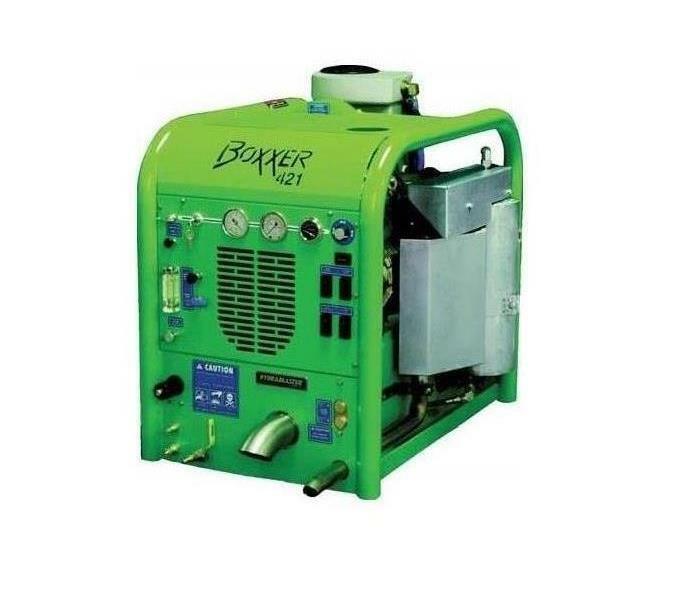 When you are trying to remove several feet of water, this may be the best solution because you can dispose of all of the water at one time instead of relying on a smaller pump. 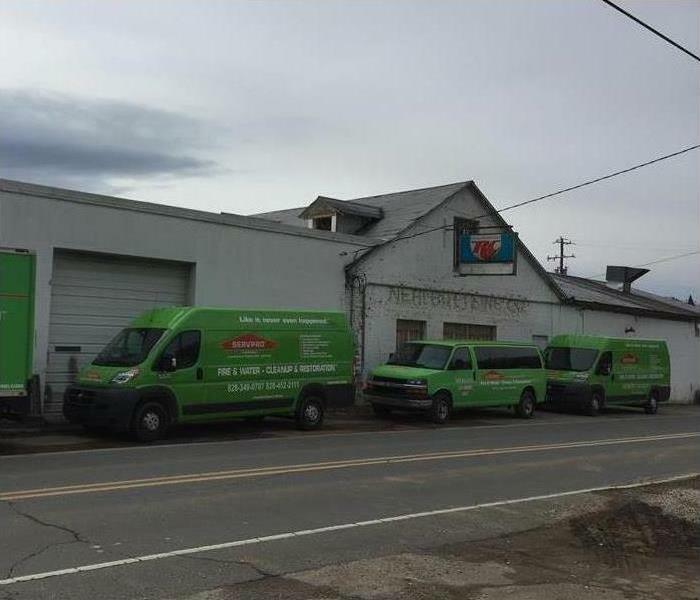 Cleaning up after a flood in Greeneville, TN is a devastating experience, but using the right equipment can help you get on the right track quickly. When you need to remove a substantial amount of water from your business, consider using a truck-mounted pump, sump pump, or trash pump to help complete the job as quickly as possible. Visit http://www.SERVPROgreenecounty.com for more information on flood damage. SERVPRO of Greene County is ready to help! Lots of rain water can wreak all kinds of havoc in your home. Not only can the water itself cause damage, but it can also lead to mold. Worse yet, sewer backup can cause black water to come into your home. This water is dangerous and contains all kinds of toxins. You may also want to take pictures of the damage to show your insurance company and keep a record. Remember that some restoration companies in Greeneville, TN are open 24/7, so you can call anytime you need help. Even after the cleanup crew has extracted the water, the affected area should be treated as dangerous. Anywhere that sewer backup touched can be contaminated. You should work with your trusted professional restoration crew to understand what to do next. You may need to dispose of certain items. If your belongings are porous, they could have raw sewage in them that never comes out. Be sure to check with authorities in Greeneville, TN to see how to best dispose of these belongings. Nonporous things may be saved with a bleach solution. It’s better to prevent this problem from happening than to deal with it after the fact. You may wish to have an expert install a backwater valve that can keep sewage from coming into your home after a big storm. Sewer backup and black water can be destructive forces in your home. You can take steps to help prevent this, but there is never a guarantee. If rain water causes this issue for you, call a professional immediately to prevent infection, mold, and other problems. Visit http://www.SERVPROgreenecounty.com for more information on storm damage. When a client’s Greene County, TN home has been damaged, you want to get the insurance claims process finished as quickly and easily as possible. Your client will likely be stressed and upset, so making the process as painless as possible can be helpful. Using a damage repair company with quality claim services is a good place to start. Here are a few reasons why SERVPRO is a top choice. Filing an insurance claim can be a lengthy process, so it is always better to start sooner rather than later. Because this company provides 24-hour service, you can get started right away. They can be on the site within just a few hours after you have contacted them about the damage. This quick emergency response can save a lot of time as you don’t have to wait around while damage continues to worsen. Once they have arrived on the site, SERVPRO will do a thorough inspection of the home to determine the extent of the damage. They can help you and your client figure out what needs to be replaced and what can be repaired or restored. Once they have assessed the damage, it will be easier for you and your client to settle on an amount for the insurance claim. When working on an insurance claim, you may have a lot of information to sift through. The Claims Information Center can make things easier. These claim services allow you to digitally manage the necessary information, so it is always available. When you need a damage restoration company with claim services to help you get through the process quickly, this one is a great choice. They can provide everything you need to get the claim filed for your client. Be prepare with your emergency kit. If someone is seriously hurt in your company’s building in Greeneville, TN, it is important you have the right tools to help address common injuries while waiting for first responders or a disaster recovery team to arrive. 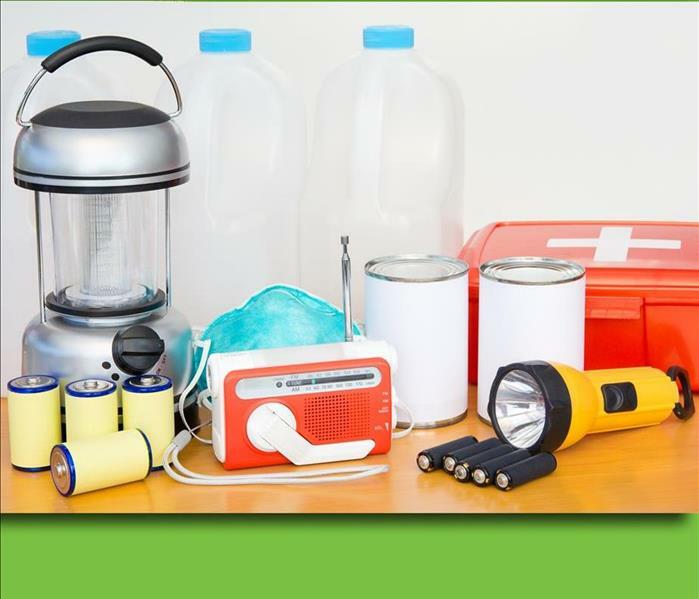 Check your first aid or emergency kit for these 10 necessary items. Gauze Pads: With this essential item, make sure you can appropriately dress wounds of various sizes without risk of painful sticking from bandage adhesive. Keep several different sizes on hand. Bandages: Hold dressings in place or easily take care of smaller bleeding wounds by stocking plenty of bandages. Include Band-Aids, gauze roller bandages, triangular bandages, and elastic wraps. Wound Cleanser: Keep antibiotic cream or sealed cleansing wipes to clean wounds and prevent infection. Gloves: Have gloves in your first aid kit to prevent the spread of bodily fluids. Consider latex-free gloves in case of an allergy. Scissors: Include scissors in your emergency kit to cut bandages. There are medical safety scissors created for this exact use you can buy. Blankets: Keep at least one blanket in your first aid kit in case one is needed to help someone stay warm and retain body heat. There are emergency blankets on the market designed to be effective while taking up minimal space. Tweezers: Ensure tweezers are available to remove debris from wounds, address splinters, or to take out bee stingers. Adhesive Tape: Easily secure bandages with the use of adhesive tape that is latex free. Resuscitation Equipment: Include CPR masks made for adults and infants, resuscitation bags, or disposable airway kits. Splint: Avoid any further damage or added pain to a broken bone or injured body part with a splint. This can prevent movement until a medical professional arrives. You never know when an emergency might occur or how long it will take for help to arrive. Make sure your workplace is prepared by keeping all these important items in your business’ first aid kit. 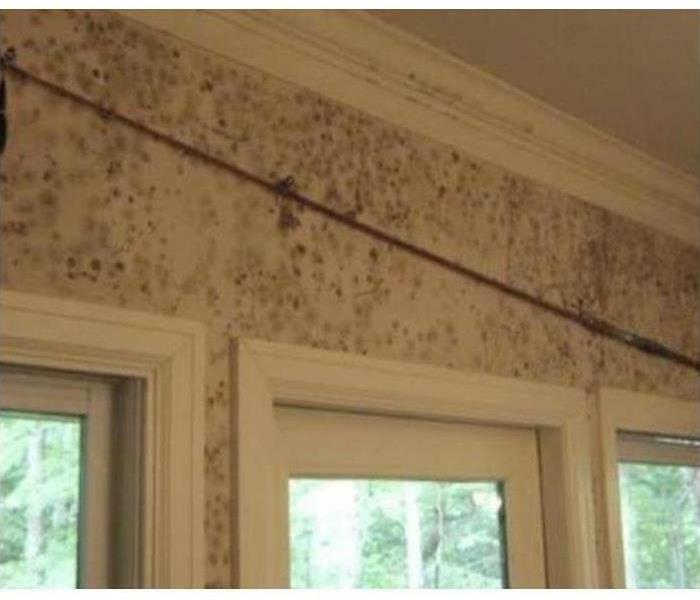 4/10/2019 - How Fast Can Mold Grow After Water Damage? 3/24/2019 - What Can Your Business Expect From a Disaster Recovery Franchise Upon Its Arrival? 3/7/2019 - How Do I Keep Mold From Growing in my Bathroom? 2/19/2019 - Is There Mold in Your Greene County Home?